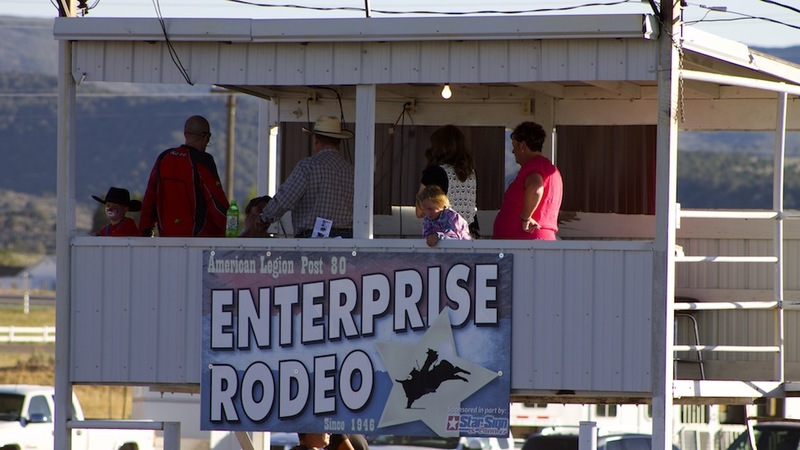 ENTERPRISE – The three-night-long 68th annual American Legion and Sons of American Legion Enterprise Rodeo began Thursday night with full bleachers and many dressed in their Western attire. The rodeo continues through Saturday. 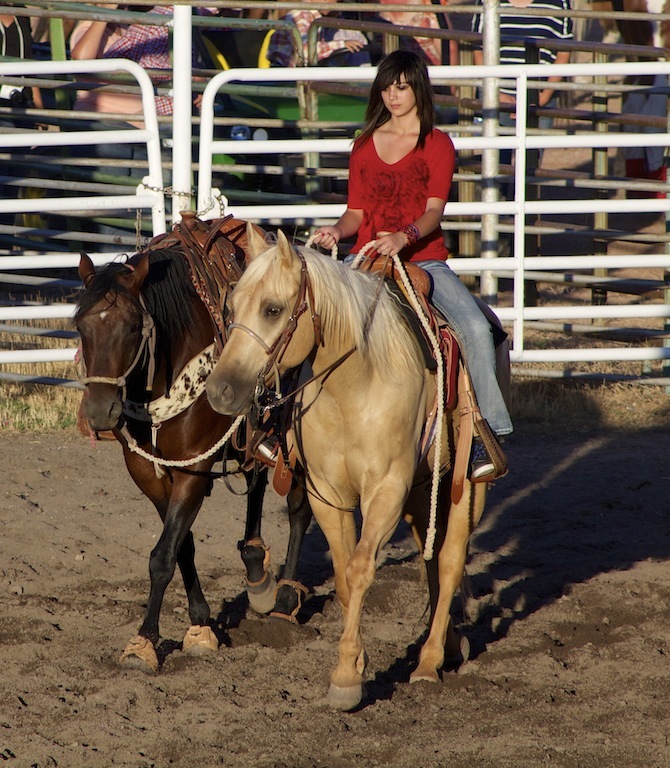 Rodeos have been held in Enterprise since as far back as 1908. 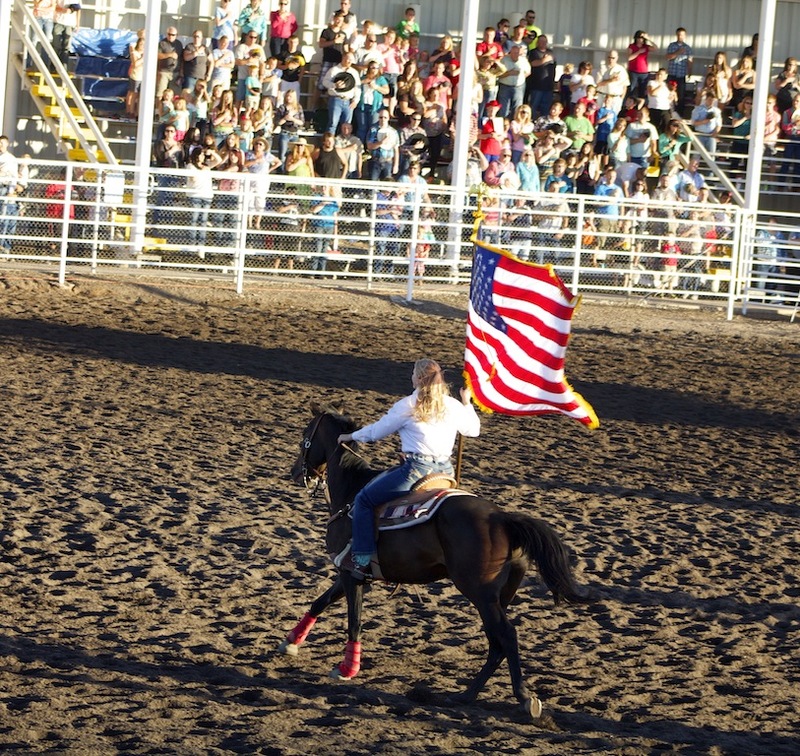 In 1964, the American Legion Post 80 took over the rodeo and has watched it thrive and develop ever since. The oldest registered contestant for this year’s rodeo is a competitor in his 70s and the youngest is 7, but many younger kids were able to participate in a very dirty and competitive crowd favorite: the chicken chase. 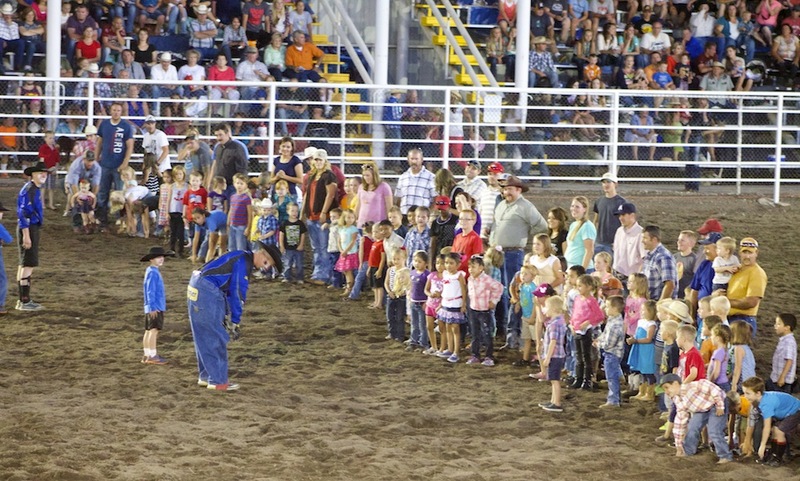 During the rodeo, kids lined up and waited for the rodeo clown to signal them that it was time to attempt to successfully catch a chicken. Another crowd pleaser was the watermelon race, in which teams of two had to hop onto a donkey and race down to one side of the arena, grab a watermelon and then head back to the starting line. Many riders had a hard time getting their donkeys to cooperate, which led to many of them falling off and plenty of laughter from the crowd. For many rodeo-goers, this is an annual event they have attended over the Pioneer Day holiday for years with their families. 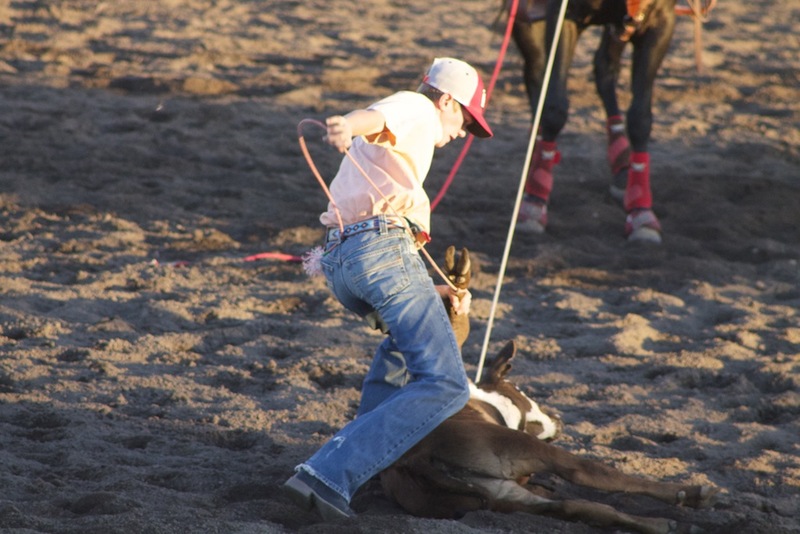 Even the rodeo clown, Jared Storrs, from Smithfield, Utah, who has appeared as the rodeo clown in Enterprise for the past 15 years, has turned this rodeo into a family affair, bringing along his sons Jayse, Jansen and Jamison. His oldest son, Jayse, said he enjoys being able to travel around the United States and participate in the rodeo with his father and younger brothers. Todd Hunt, a current resident of Enterprise, competed in the rodeo Thursday night in the team roping category. He also cheered on his son, who competed in special breakaway roping. 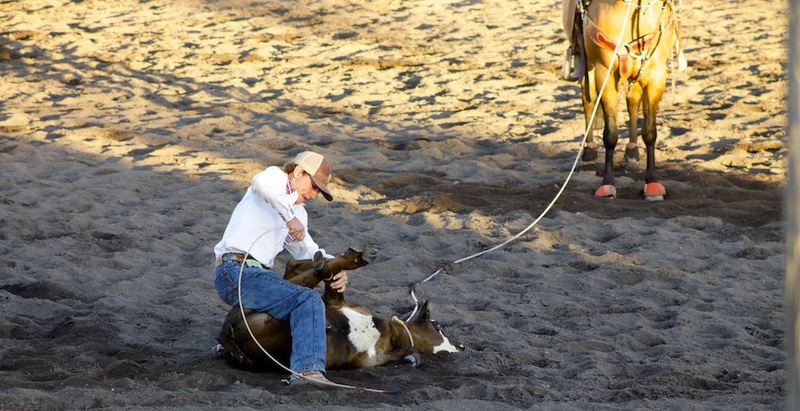 For Hunt, the Enterprise Rodeo is a family tradition because his father competed alongside him and, now, he is able to do it with his son. “What sets it apart is it’s a lot of local cowboys – that gives them an opportunity to come in and participate and let their kids grow up in it,” Reber said. 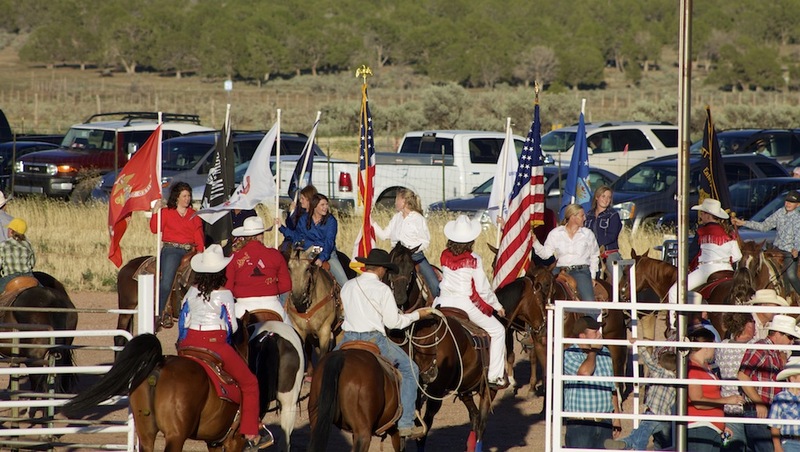 This rodeo stands out to many because of the welcoming small-town family atmosphere and also because it is an amateur event where anyone is allowed enter. 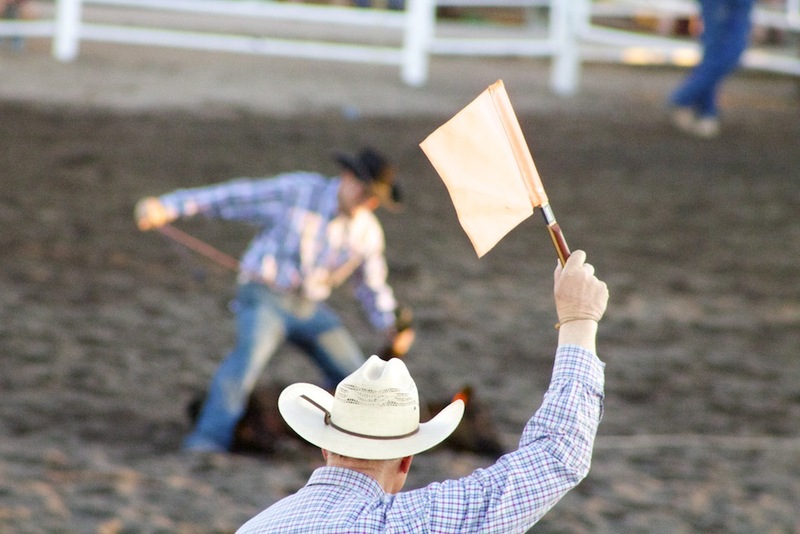 The rodeo continues Friday and Saturday at 8 p.m. Prize money will be given away each night. When: Friday, July 25, and Saturday, July 26, at 8 p.m.
Samantha Tommer is completing her studies at Dixie State University. She is currently working towards her bachelor's degree in integrated studies with a combined major of mass communication and criminal justice. She has had experience with broadcast journalism since 2011. She started off as a producer for DSU's news show, State of the Storm. While producing, she took up the interest in becoming a reporter. She has worked with Dixie Sun News as multimedia editor as well as a co-anchor for the Dixie Sun News Show. Samantha brings her love for and experience in broadcast journalism as a vital member of the St. George News team.